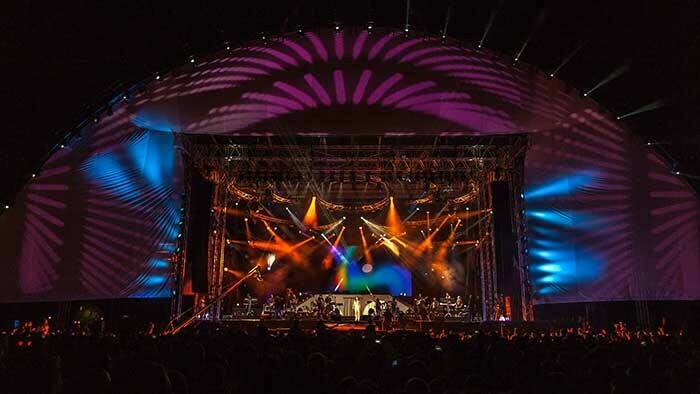 Robe moving lights were used by lighting designer Marko Malesevic from Studio Berar – also the lighting rental contractor - as part of the rig for a big performance by Balkan superstar singer Svetlana Ceca Raznatovic which coincided with the massive St Vitus Day public holiday (also known as Vidovdan). 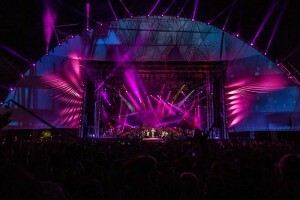 The enormous open air concert was staged by Miligram Music on a site at Usce in Belgrade, right at the confluence of the Rivers Danube and Sava … and attended by an enthusiastic audience of 100,000. The pressure was on to ensure that it was a memorable and spectacular event for everyone – all of those experiencing it live, plus the additional tens of thousands watching on TV. 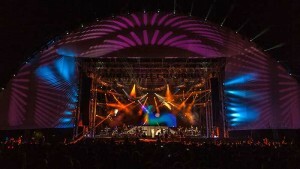 Fifty Robe ROBIN 100 LEDBeams and 20 ColorSpot 700E ATs were used to light the audience. With so many people and a live telecast by the Serbian Broadcast corporation on national TV, audience lighting was a vital part of the equation. Some of the LEDBeam 100s were rigged on towers in the arena just in front of the stage and fanned out to cover wide sections of the crowd – their power and brightness cutting through impressively in spite of their tiny size. The rest were on a semi-circular truss downstage, where they were used for colouring a large canvas that denoted the effective pros arch of the stage. The ColorSpot 700E ATs were all positioned on the stage wings firing out into the audience. Marko specified the Robe fixtures because of their power and reliability. 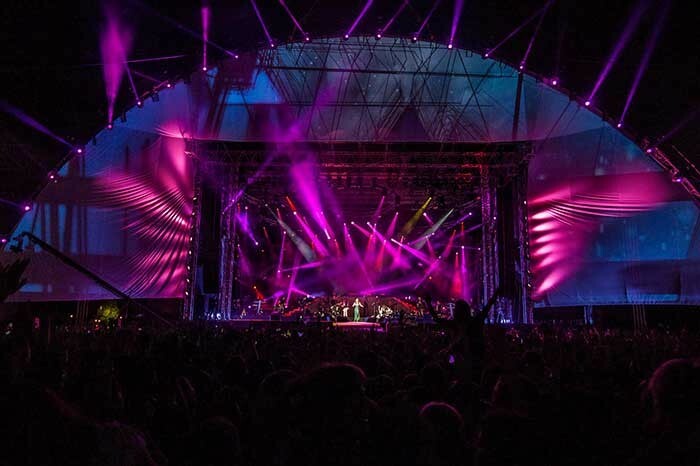 "We have always had great experiences in using Robe, and for such a large and important event, we needed lights we could trust and completely rely on … and that’s why we chose Robe," he confirms. He operated the Robes plus all the other lighting for the event using two Avolites Pearl consoles, and the concert was a massive success. The lighting rental was co-ordinated for Studio Berar by Emil and Momcilo Berar.